virtues. A quality that is still attracting a lot of greedy ones. Nowadays, oysters are mostly recognised for their low calories combined with their extremely rich in oligo-elements, vitamins and minerals. 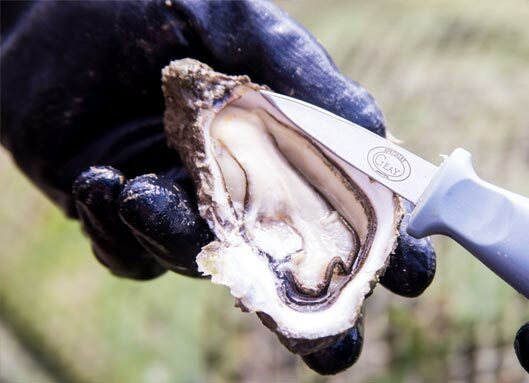 Thanks to its high ratio in omega 3, oysters have a positive effect on cardiovascular health. Oysters are so full of essential elements that it is possible to survive only eating them. During WW2, some pilots surviving battles in the pacific region were saved by oysters. It was the only food they could safely eat that would give them the necessary nutrients to survive. (2)	: oysters and spinach are the food with the highest ratio of folic acid. A lack of folic acid is often observed when growing old.